The SPX, NAS, and NDX all reversed last week’s losses of 2% and rallied to new recovery highs. The Dow lagged and only recovered approximately 62% of last week’s losses. The SPX gapped up to 2748 at Monday’s open and rallied to 2798 on Tuesday. After a short-lived pullback to 2788 into the close on Tuesday, price continued higher to 2821 on Wednesday. A late day sell off on Wednesday was followed by more weakness to 2803 on Thursday morning. Price remained in a range for the rest of Thursday and then gapped up again on Friday and rallied to the week’s high of 2831 and closed at 2822. For the often volatile Options Expiration week, the SPX gained 2.9%, the NAS/NDX gained 3.9%, while the Dow gained 1.6%. On the economic front, we saw an uptick in retail sales, NFIB Small Business Optimism, CPI, PPI, construction spending, industrial production, University of Michigan Consumer Sentiment, and JOLTs job openings. On the downtick: core CPI and core PPI, durable goods, new home sales, Empire State Manufacturing Index, and capacity utilization. Next week’s report will highlight NAHB Housing Market Index, factory orders, the FOMC rate decision, the Philadelphia Fed Index, Leading Indicators, and existing home sales. 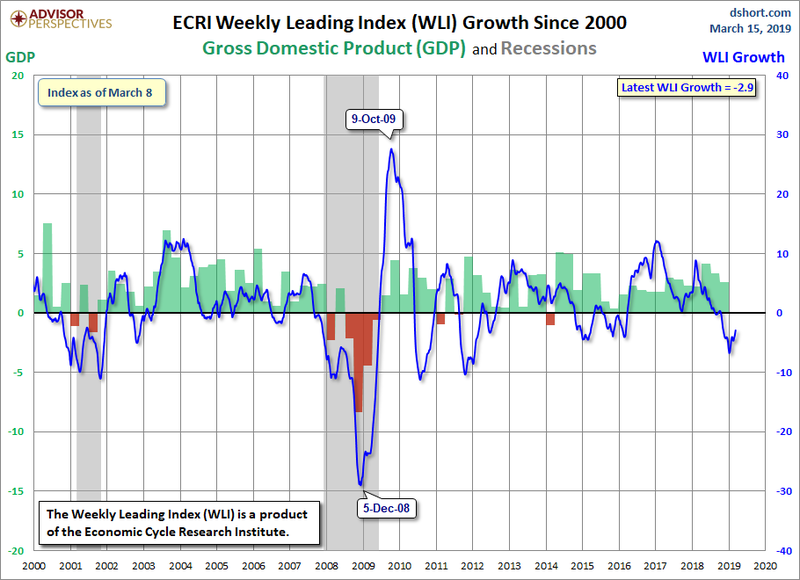 The ECRI WLI continues to improve and rose this week from -3.7 to -2.9. We continue to track the foreign markets as we have for the past several months. All of the foreign indices we track were positive for the week. The Indian Nifty 50 up 3.6%, the German DAX up 1.8%, the French CAC 40 up 3.3%, the Brazilian BVSP up 3.8%, the Japanese Nikkei 225 up 3.6%, the Shanghai Stock Exchange (SSEC) up 2.7%, the Hang Seng Stock Exchange up 2.8%, and the South Korean KOSPI up 1.9%. We count a five wave impulsive rally from the Major 2 low at SPX 2347. Minute i at 2520, Minute ii at 2444, Minute iii at 2739, Minute iv at 2682 and Minute v at 2817. We tentatively labeled the 2817 high as Minor 1 on last weekend’s report, thus we were expecting a correction for Minor 2. Indeed, the SPX/Dow broke support levels and fell 3+% in a three wave move during the correction. From the 2722 low, SPX has risen to 2831 while the Dow has not reached new recovery highs. This divergence among the indexes tells us to be conservative in our market view and consider that a complex Minor 2 correction may still be underway. This conservative market view is shown on the Dow chart below and will remain our primary count awaiting further price action. We continue to track the more near-term bullish count, shown on the daily SPX chart below, with the Minor 1 top at 2817 and Minor 2 bottom at 2722. This count suggests Minor 3 is currently underway. See additional comments in the short-term section regarding these wave counts. From the Minor 1 high at 2817 we saw a three wave decline to the SPX 2722 low (2768>2796>2722). We expected that low to be the minute a wave which would be followed by a minute b retracement rally and another decline in minute c to end Minor 2. Instead the SPX has rallied in one wave from 2722 to the week’s high at 2831. 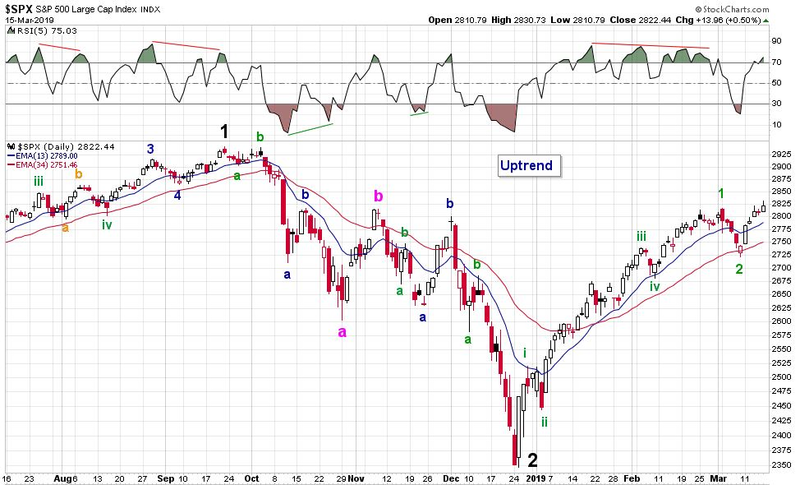 The SPX rally could be part of an irregular b wave with a wave c decline to follow. If this view is correct, the Dow price should fall below last week’s low. The SPX and Dow will likely realign during this correction. If the Dow rallies to new highs before declining below last week’s lows, this count will be eliminated. Also, if the SPX rises over 2876, this count will be dropped. 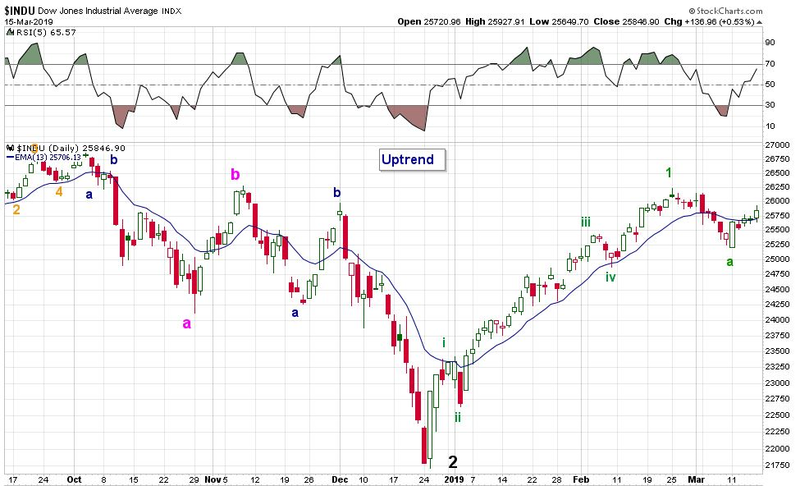 The strength in the SPX and NAS/NDX indices also suggest near-term bullish wave counts. These include 1) Minor 2 is complete at SPX 2722 with Minor 3 underway which will likely subdivide as well (shown above on the SPX daily chart), and 2) The impulsive rally from SPX 2347 continues with an additional extension of the Minute v wave into Micro waves (shown below on the 60 minute chart). Clearly, we will need to see the Dow rally to new highs for these bullish counts. We will track all of these most probable wave counts. From time to time, the market action causes uncertainty as to the next move. Patience is required during these times to allow the markets to remove that uncertainty. Short term support is at the 2798, 2780, and 2731 pivots and resistance at the 2835 and 2858 pivots. The SPX continues to display a negative divergence on the 60 minute chart. The RSI 5 on the daily chart does not show a divergence although it is now overbought. Asian markets were up 2-3%. European markets were up 1.5-3.0%. The DJ World index gained 2.7%, and the NYSE gained 2.4%. Bonds are in a downtrend but lost 1.2%. Crude remains in an uptrend and gained 4.5%. Gold is in a downtrend but gained 0.5%. Bitcoin is in a downtrend and lost 3.7%. The USD is in an uptrend but lost 1.0%. Thanks Christine and the OEW crew for the excellent update, I hope you’re all doing well =) I like the charts but can we add the mac D indicator from Tonys charts please??? Im still calling it a B wave until proven wrong and the alternate is we’re in the wave 5 of 5 of 5 blow off of a very big wave starting from the low in the 1930’s…. 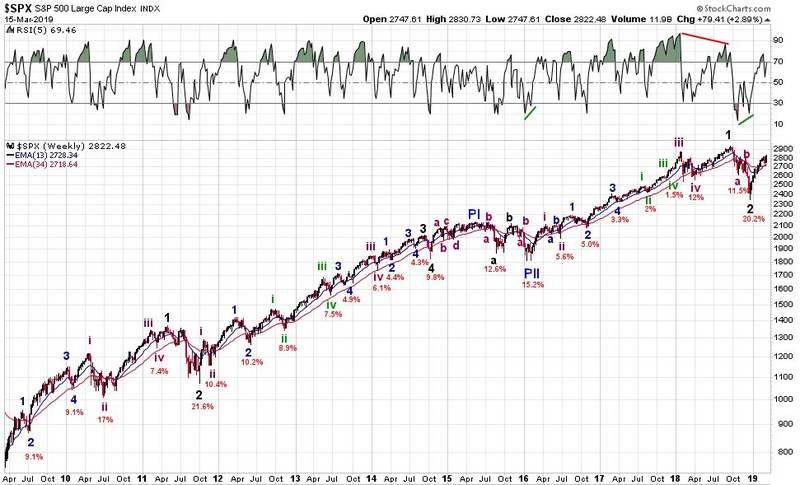 Wave 4 looks to be in BUT that’s what a B wave should do…. Noted and taking it into consideration! Thanks! Unemployment falling. A lot more money going on the pension funds and it is increasing. Also the wages increasing,. How can you ever expect any kind of top on the way…..!!!! We are going up for a long time as Tony predicted. 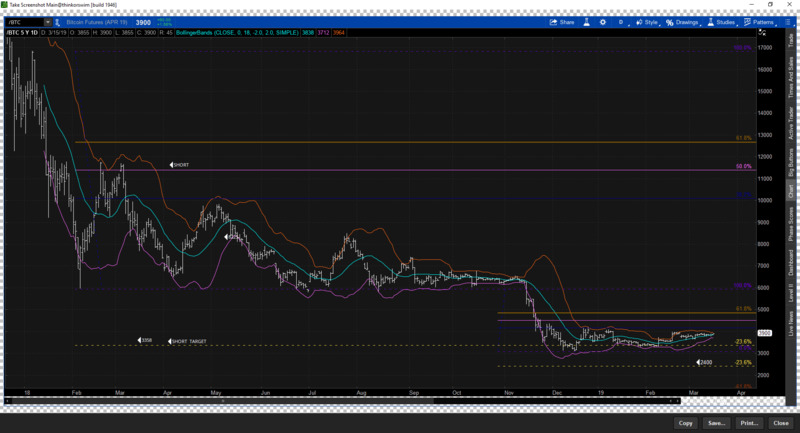 People with big top point of view shoaled refrain or let us see on a EW chart the why this should be considered. The unemployment rate appears to have bottomed. Ironically, when unemployment is high, equities tend to do well on a forward looking basis… when it is extremely low, like now, it tends to be close to the end of the economic cycle and they do poorly once the cycle turns. Likewise, rising wages is another late cycle factor. Rising wages are correlated with rising interest rates, which this market has proven that it can’t handle. They also erode profit margins as its corporations who are paying out more in wages… so they’re a negative hit to earnings. Companies are clearly taking a hit on margins in order to maintain market share. The Fed Meeting this week should be most interesting. Cant wait for the Dot-Plots. But companies have no pricing power (especially when it comes to battling Amazon), while having to service a ton of debt. Thus, their priority becomes maintaining MARKET SHARE AT ALL COSTS. What does that do to profit margins? Regardless on how the FED helps stocks with their accommodation approach the dollar and oil will soon apply pressure on the market. Both are extremely bullish. in fact OIL has many long term bullish candlestick formations that will surely push it way past 60. The dollars strength is also getting stronger as other nations are falling into a deeper slowdown. This as our own GDP estimates keep going lower along with earnings expectations. Mueller wrapping up, low bar for earnings next quarter, and a very strong recovery off the lows. Prescription for a collapse in trend and in a dramatic fashion. Most will not see it coming and when it does come most will try to guess the recovery point with no success. the fast wild ride is coming and soon. I will be reentering the market soon loading up on long shot bets. Time frame is very condensed. no more than 5 trading days out. A majority will not recognize the drop and misinterpret it’s damage. Thanks to Christine and the OEW group. This analysis was great and very well written. Just like Tony’s work before. I’ve been focused on the minor 2 problem for a few days, and this update was very clarifying. I look forward to new weekly updates, my favorite saturday reading from before. Jobjas approached him well in regards to his remarks. The unfortunate thing is baiting seems to be allowed, but response isn’t…just something to consider. On another note, CNBC announced not long into the trading day yesterday, that Boeing had a patch to correct the software problem which would take six weeks to implement. Then a few moments before the closing bell, announced they had been unable to have BA confirm. Now I don’t know how this is acceptable…seems on a par with Musk’s “funding approved”. FAA=BA “regulatory capture” I think it’s called…. BA is “too big to fail” but hey life ain’t always fair….. Interesting Ethiopia selected France’s BEA to analyze the black boxes – ignoring the clamour from our FAA that they (FAA) should receieve the boxes. France’s Airbus is Boeing’s top competitor. A game of chess unfolds. On another note, heartfelt condolences to those affected by this tragedy. I appreciate your opinion but I have no intention in allowing hate towards one another on the blog regardless of how “brilliant” a person may be perceived. Alexey and his charts have been banned. If I have to delete 5 hate comments in a twenty minute period the person does not belong here nor will have the privilege to post. For whatever reason it is easy to be baited into these internet wars of words. In the past, I have been as guilty of this as anyone. If only we would all adopt a tolerant attitude realizing that this is a diverse bunch of traders/investors. If something is not of interest to me I see no reason to comment or respond. If I can’t say something nice, I say nothing at all. bonds in an uptrend or down trend ? very clear cut analysis to 2 possible paths, thanks much! CCI Divergence at weekly/monthly/yearly resistance. Failure here brings a test of monthly support @ 2694, a breakout would suggest the next yearly zone @ 2895 ~ 2965.